Coming back to Windsor and Eton for 2019 is a completely unique 10km trail race for runners of all abilities brought to you byRunface. 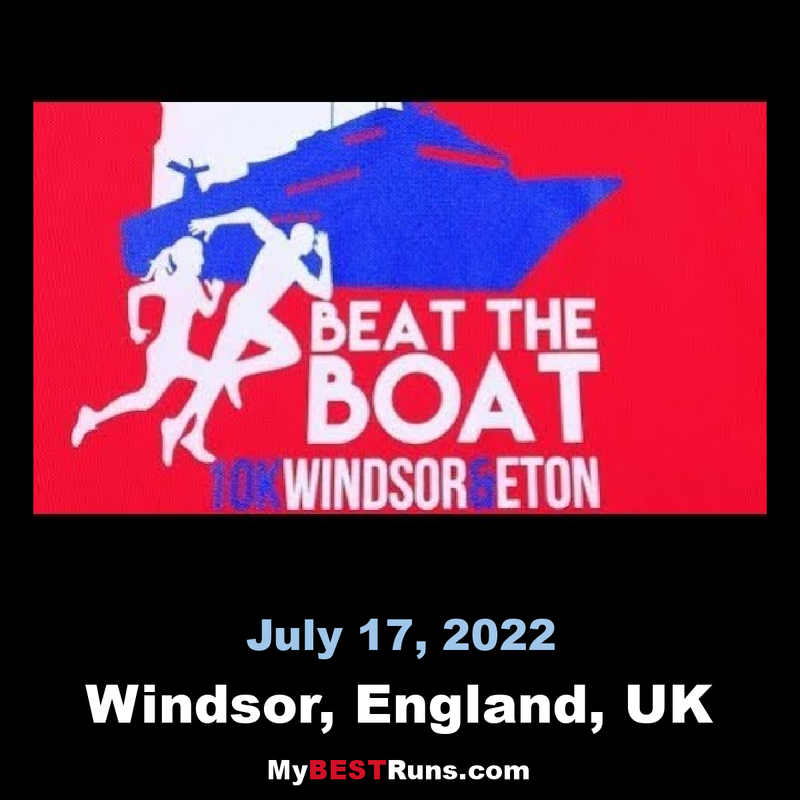 An out and back course from Eton & Windsor, you'll be taking on not just other runners, but a target pace boat full of spectators that will be tracking you and trying to beat you back to the finish line. All runners set off together in a traditional race format, with a difference, because just yards from where you start on the Brocas fields in Eton, the 4 Thames Cruise boats will be starting too and they'll be full of your friends and family members ready to cheer you on, as you try to beat the boat. The course is set under the beautiful backdrop of Windsor castle and is a flat 10km run on mixed terrain and is not suitable for spikes. Whilst most of the course follows the Thames path there are some sections that border fields and could become muddy if we have had persistent rain. There will be times when the course will deviate away from the Thames path to give the boats time to turn around but don't worry you will soon be back on their trail again and racing them home! The five boats will be clearly labelled as 40/50/55/60/70 mins respectively. So when entering, its important for you to try anddecide which boat you'll be taking on, based on your predicted finish time over the course.Faster runners will be looking to beat the 40 min boat, and would therefore want any supporters to be on-board that one, whereas people running closer to 50 or 60 mins, would be chasing those boats. This event is put on by runners, for runners and we'll be trying to ensure that everything we'd expect in a race will be provided. 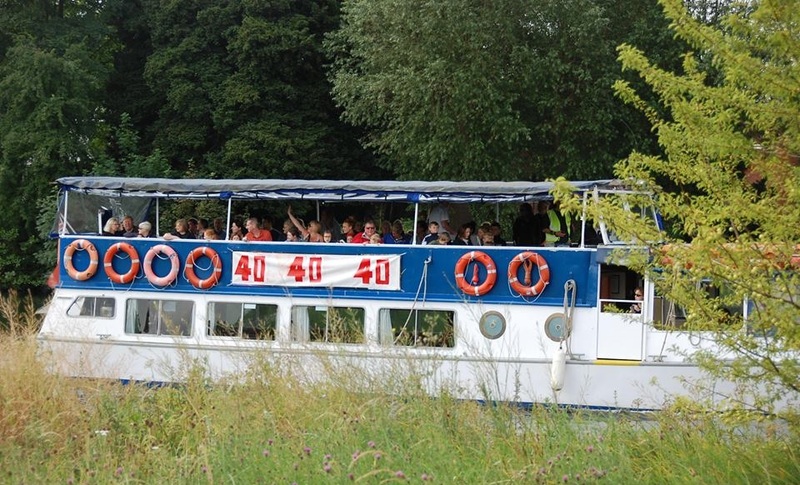 That will include water stations, friendly marshals, clear instructions, excellent facilities and a safe and fun environment that you'd expect when trying to beat several tonnes of river boat in a footrace along the thames path.